In 2017, legendary Genesis guitarist, Steve Hackett, embarked on his Genesis Revisited & Classic Hackett Tour. 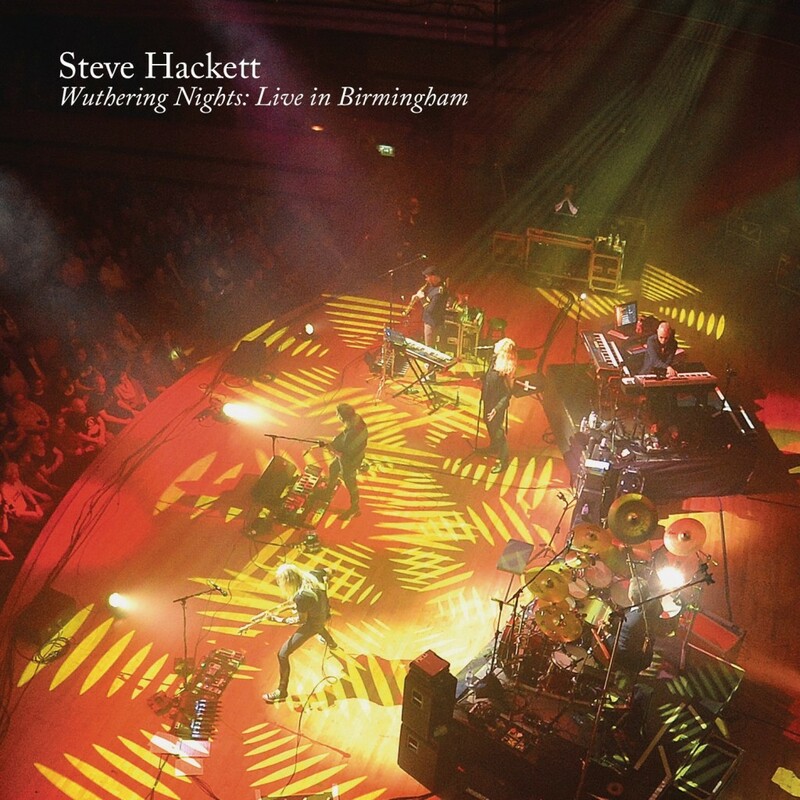 During a stop at Birmingham Symphony Hall in London of that year, Steve and his band filmed a concert for and released the CD/DVD entitled, Wuthering Nights: Live in Birmingham. This tour marked the 40th anniversary of Genesis’s Wind & Wuthering album. It was his last performance on a Genesis album. To celebrate, Steve performed five of the best-loved tracks from this iconic album: “Eleventh Earl of Mar”, “One for the Vine”, “Blood on the Rooftops”,”…In That Quiet Earth”, and “Afterglow.” The CD/DVD also includes many songs from Steve’s 2017 solo album, The Night Siren. I had the immense pleasure of sitting down with Steve in New York to discuss the making of Wuthering Nights: Live in Birmingham CD/DVD, his experiences and challenges honing his craft as a guitarist, and the status of a potential Genesis reunion. Robert Cavuoto: It’s the 40th anniversary of Wind & Wuthering, your last album with Genesis; does it feel that long to you? Steve Hackett: Not really, it seems like yesterday, but there have been massive changes in me and the world. I’m now able to go back and look at that material with a fresh set of eyes. I can do what I should have done with it at the time. I now have carte blanche to reinterpret it. Giving it alternative or extra guitar parts is a nice thing. It’s not that it’s easier to play. I think Wind & Wuthering was an excellent album. A lot of people ask what does “wuthering” mean? It means blustery and windy. It’s not even a word in common British use. But, it’s from the book, Wuthering Heights, by Emily Brontë. It also spawned a movie. Genesis and Kate Bush used it as inspiration, and it was our first hit single. Robert Cavuoto: I recall reading an interview where you said you are most at home while on stage. Is that still the case 40 years later? 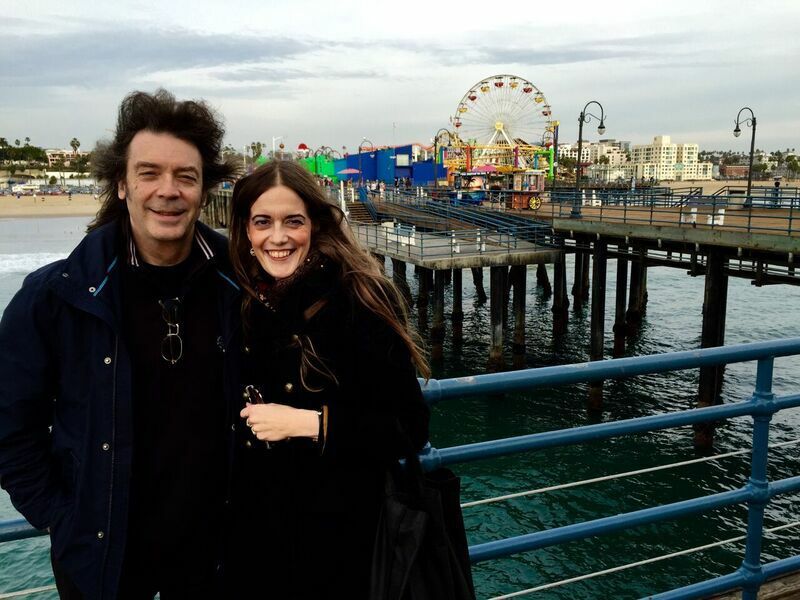 Steve Hackett: I think home is with my wife. Wherever we are, we consider it to be home, because we are very close. I think the difference now and when I was a younger player is the degree in wanting to do this. I know there is an audience for it, the songs have proved themselves, and it’s a very different relationship with the same material and hoping people were going to like it. Robert Cavuoto: What do you remember special about filming your new DVD, Wuthering Nights: Live in Birmingham? 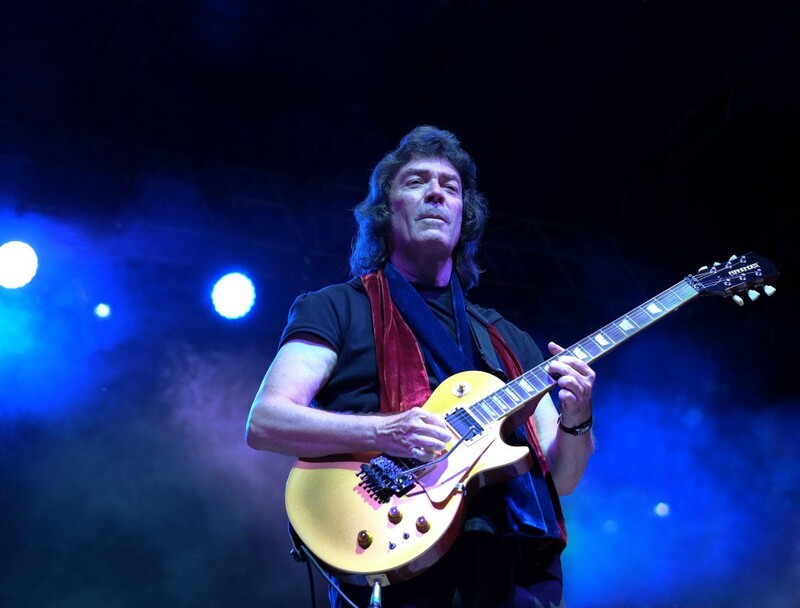 Steve Hackett: I remember it was a good evening; I played the Symphony Hall in Birmingham quite a few times and each time was an extraordinarily tremendous experience. I think as soon as the cameras are on and people know they are being filmed there is a perceptible feeling particularly with the audience that “Oh, I better be on my best behavior.” [Laughing]. They made a lot of noise during the night, but even the audience can get a little bit nervous during filming. Robert Cavuoto: With such an immense musical catalog to chose from, do you find it difficult to pick the set list, whether it’s for this DVD or for your upcoming tour? Steve Hackett: The DVD is a show we did last year. It moves on now from the 40th anniversary of Wind & Wuthering to the 40th anniversary of Please Don’t Touch, the first solo album I did after I left Genesis. We changed the set list, as we have slightly different personnel with the band this time. People have asked for songs like “Supper’s Ready”, which is very long, and from Genesis’s Foxtrot album in 1972. From the Nursery Crymes album, we are doing “The Musical Box” and “The Fountain of Salmacis” Its forte’ has always been to perform live, there is just something about the grand sweep of the romantic track. With its orchestral keyboards, I think it’s some of the best writing the band came up with at that time. The guitar makes cameo appearances in it, but essentially it has a symphonic temper to it. Robert Cavuoto: Is “The Fountain of Salmacis” one of the songs that still makes the hair on your arms stand up when performing? Steve Hackett: Yes, there is that, but I want to get it right. It’s one that you have to be on your mettle because you are riding the volume pedal the entire time and plenty of changes. No matter how familiar you are with it, you have to be very precise to do all the moves in the right places. It’s this big romantic thing with a mythological and mystical aspect to it. It also has a theatrical aspect which was never enacted with Peter Gabriel; it was prior to him becoming and living the song. That actually happened one album later. By Foxtrot he was depicting the actions of the songs much more. Maybe it’s all for the better, the idea of trying to impersonate some of the action would be less than believable. It’s better to have an image in the mind of the listener that isn’t too defined. It has a very strong visual element implied in the music, but I don’t think it necessarily has to be accompanied by physical and visual images. A lot of songs from that time and prior to it, like The Beatles doing “Sergeant Pepper”, it was pre-visual music conjuring images and characters. I’m very glad there wasn’t a collection of videos that accompany that song. It didn’t need that. Robert Cavuoto: I feel that you are one of the most technically proficient guitarists of our time. How do you feel about that title? Steve Hackett: Well, I have to be humble about this. No matter what you can do on the guitar; I always feel that more can be achieved. Even when you can occasionally pull off the dazzling fast stuff, you always want to be able to do something more. It’s almost like cyclic breathing where you have to keep up that level of energy and play fast for about an hour with no trip-ups. How is that possible? You have to vary techniques tremendously to do that. You couldn’t keep up the same technique, so you would have to start switching to bits of tapping and sweep picking. You would have to pull out every trick in the book. I suspect it’s the same way to play really proficient Flamenco technique works; very full on. Robert Cavuoto: At what point in your career did you realize that your style was truly unique? Steve Hackett: I guess that’s for others to say. I suspect that I look for authenticity rather than originality. I have arrived at the point where I realized that nothing I do will be completely unique, because all the people that have come before me, and all the people who came after me, as well as all the characters that are around now. I love the work of a lot of my contemporaries. Many who have been in similar bands and marvel at what they have been able to do. What I try to do is assimilate things into a style that involve very separate schools of thought; the Paganini approach of how would Andrea Segovia interpret a melody or how if Jimi Hendrix played it? Other people like Carl Perkins, Django Reinhardt, and Pat Metheny, all have these varied schools of approach. There are so many ways to approach musical proficiently. Not to underestimate the effect of legato playing, very slow like a violinist or cellist might play a line and let the melody linger. The legato aspect of that kind of romantic 19th-century style of playing where you hold onto a note, like a lingering caress. It’s not all about proficiency, but bringing life and love you have for it. It’s not all about shaving nanoseconds off a blister runs; though we all want to do that and practice it. Its only part of what we are in love with. If you stick together all these different gears, there is this pantheon of possibilities you find that the guitar can function firstly, as a percussion instrument but beyond that, it gives a close run to the human voice. Robert Cavuoto: What I was marveling at while watching the DVD was your guitar tone. It was so impressive; powerful yet smooth and not overly distorted. Tell me about your Fernandez guitar and chasing that perfect tone. Steve Hackett: The Fernandez guitar has a sustainer pick-up. 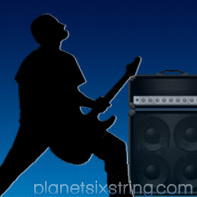 It means that you can get sustain feedback induced from the guitar itself. It functions like the e-bow held over the string. An electrical charge from a battery is going from positive to negative, and that produces a vibration with the string. The on-board version of that, that’s with the Fernandez guitars is pretty astounding, because the notes go further and I play in a different way. Perhaps not the lingering caress, but you can turn something into a cry, a dive bomb, or however you perceive it. It is possible to get the effect of the backward guitar by hitting the string very lightly. There is always the danger that if you hit it too lightly, it won’t engage, but using the sustainer pick-up, I’ll hammer on it and let the note build. I do that during the solo of “Firth of Fifth”. I let the guitar do a lot of the work, particularly at the beginning. I’m not tearing into it, letting it float, and the guitar meets me more than half way. I just give it a little kick and seems to want to meet me somewhere and its one of the most satisfying moments when it’s doing that. Initially, I thought it was something the sound mixer was doing. I wasn’t aware I was doing it until rehearsals. It’s actually coming from the fingers and how that pick-up works. It has been a real godsend, that level of technology transcends into the way I play. Live I add some effects like repeats, echo, and the front of the house sound mixer is adding reverbs and repeats, as well. It floats and inhabits that space on its own. Robert Cavuoto: There has been a lot of chatter on the Internet about a possible Genesis reunion. I can’t help but see a pattern where bands start to vet it out in the press to get promoters excited and interested. Do you see this chatter as being the first step to a potential reunion, and what is the likelihood of it materializing? 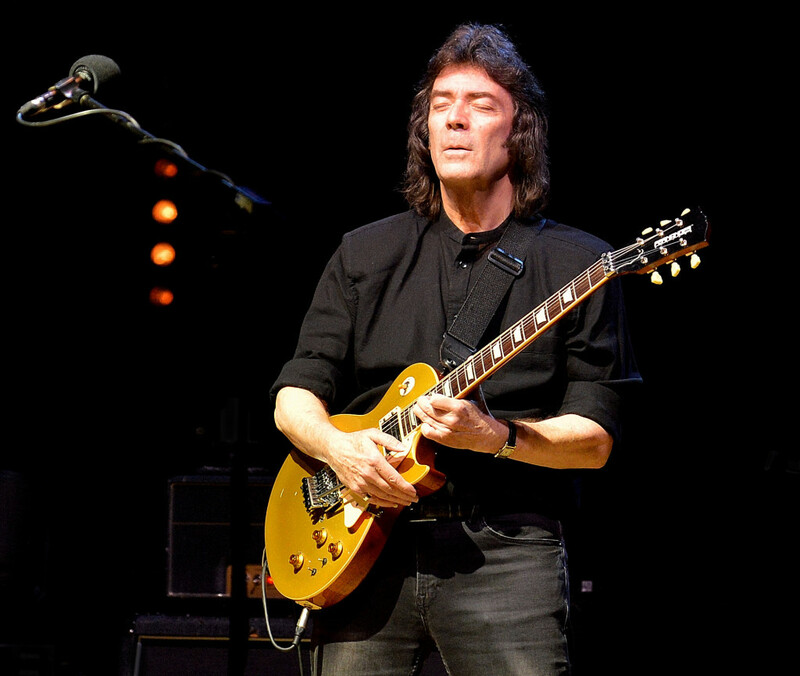 Steve Hackett: It seems to be the big question that I’m asked during all interviews. All I can say is that I would love to be involved with the original guys. I doubt that it is possible. There are no plans and suspect the other guys have other priorities than playing Genesis music. Whereas I after doing tons of solo albums, I felt it was time to assimilate my younger self [Laughing] and perform these songs that I fought so hard to get them done right back in the day. To redo them live or re-record them just to enlarge upon their original blueprint. To also add an orchestra in parts where it is relevant, or change the team of players. You won’t get the original team playing it. I suspect that everyone in Genesis has their own idea about what the real Genesis is. I can only guess that Tony Banks, Mike Rutherford, and Phil Collins think the real Genesis was the era with the most commercial success. The other side of it is with Peter Gabriel and the short period when we were a four-piece. All of the band’s incantations have been interesting! I wish I could hold out more hope for people. My relationship to Genesis is now to own the early work and prove there is a hugely devoted following for it. Robert Cavuoto: Are you all still friends with all the guys from Genesis? Steve Hackett: Oh, yes! I’m still friends with them. In fact, we all went to a book launch by Richard Macphail. He wrote a book (My Book of Genesis) about Genesis because he was the original manager, roadie, and did so many things for the band. He was held in high esteem. In fact, he could have been the band’s original singer, but he always set his ego to one side and did great things for the band. So, the four out of five of us showed up for that event. It was nice to see them. Here’s one more video for the road, recommended to Guitar International by Genesis/Steve Hackett enthusiast, Mr. Joe Lamond, president, NAMM – Enjoy!